So here I am, the start of my 3rd semester as a PhD program. I've got 4 courses under me and feel like I am pretty sure I know what I'm doing and feeling pretty confident I will complete this thing (albeit, eventually). 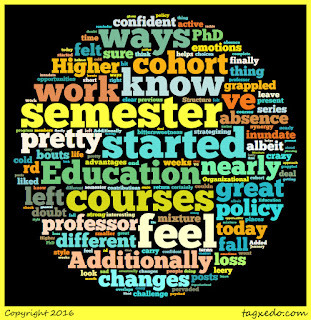 I had my bouts of doubt last semester as I grappled with feeling inundate with a great mixture of emotions (for a reminder, check out posts 8, 9, and 10 in this series!). 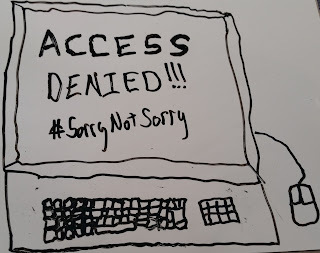 So in the last blog post, I merely stated my ideas but in this post, I want to drill down a bit further with them and see where that lands me. My advisor has given me a handful of questions that I think will be useful for me to articulate what it is I'm trying to get at. As I start to pinpoint different ideas to consider, I feel like this will help me refine my ideas and translate them into something more coherent. Bolman's work does a good job of highlighting the many different challenges to leading in higher education with accessible prose and good examples or anecdotes to illustrate his points. He succeeds that problematizing the role of leadership in higher education and the many different ways there are to fail. What is provided is not a fool-proof guide, but a general map that shows readers where they are likely to fail and how best to recover. Additionally, a strong value that Bolman addresses that many other texts leave out is how to lead upward. Many texts focus solely on leadership from the top of the hierarchy but he spends a reasonable amount of time, guiding people moving upward. 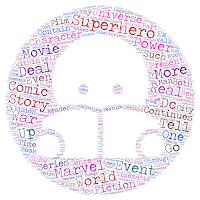 The following is an except of a blog post, I wrote for Jeremy Flagg's blog in celebration of his upcoming superhero novel, Nighthawks. Superheroes aren’t real. (Gasp, I think one may have just died because I said that). They aren’t, but the rise of realism in comic storytelling that emerged in the second half of the 20th century, means that readers demand realistic elements to the storytelling. Even though our capes are walking deus-ex-machinas, we prefer the veneer that all things are genuine struggles for them. But surprisingly, superheroes do have limits. They are not perfect. Because for all that the superheores can do in their fictional realms, they cannot leap from the page and be a part of this world. However, they can appear increasingly life-like through good and sustained storytelling. 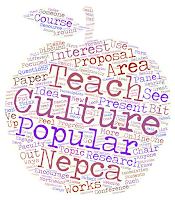 So as some of you know, I am the Chair for the Teaching Popular Culture area for the Northeast Popular Culture Association (NEPCA). As someone who teaches a course, specifically on popular culture, I am always interested in seeing and hearing what others are doing.